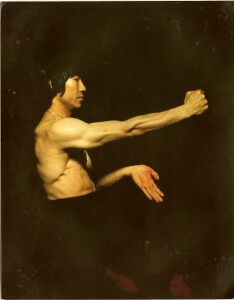 We know that Master Lau is not alone in feeling that the image of the Martial Arts has suffered in recent years. The early 21st Century certainly won’t be remembered as a high point in their development. Currently it’s not a particularly well-respected profession and there remains a serious lack of quality control over instructors. Styles come and go according to the dictates of fashion and the public remain badly misinformed by the media, movies and internet. So much so, that many end up missing the point of Martial Arts training entirely. But the public aren’t to blame. The responsibility lies with the people they pay to teach them. Therefore it is essential that all instructors are well trained and well educated before they teach. Anyone can sell techniques. We need to aim higher with our teaching and try to inspire our students to be all they can be. Sell techniques and sooner or later we will run out of things to sell. Equally important, we have get across that there is much more to the Martial Arts than fighting. Why would anyone want to teach fighting anyway? Let us not have any illusions. A true street fighting style would include how to ‘glass’ someone and show the best way to smash a head against a paving slab. There has to be more to the Martial Arts than beating people up. It doesn’t take ton years of blood, sweat and tears in a training hall to smash someone’s face in. A thug with a baseball bat will do the job even better without any training at all. To see real violence is to see human beings at their worst. Just consider some of the things the human brain is capable of. Like putting a man on the moon, writing music and transplanting a human heart. It’s truly a tragedy to see the incredible potential of the human mind reduced to the level of physical violence. It may be a part of life but it is nothing to seek out or aspire to. It may also be true that most people take up a Martial Art with the intention of learning how to fight However it’s our duty to see that, over time, they recognize the opportunity to learn far more valuable things. Such as personal development. Unlike many other physical activities, the Martial Arts have much to offer in terms of both physical and mental development. Students learn how to make themselves stronger and more skillful as well as combat fear. Fear is the underlying cause of all violence and learning to conquer it is one of life’s most liberating and rewarding achievements. It goes further than just building confidence. It allows us to live our lives free from intimidation and humiliation. It is a truly life enriching goal.